Dr. A.P.J Abdul Kalam popularly known as People’s President had passed away on 27th July, 2015 leaving a scratch in the minds of millions of people, an empty void which cannot be filled -in or restored. We have lost our beloved soul, the man of indomitable spirit, Dr. Kalam who has inspired and will keep inspiring the youngsters, those who are the future of our Nation. One he said “Tomorrow if I address a group of youngsters and talk about the flag flying in my heart and how I will uphold the dignity of the nation, I can get them to dream. But if I talk to people who are 40, 50 or 70 plus, it will not go down that well. Also, the youth have fewer biases about their society as compared to the grown-ups,” Worthwhile to mention, that Dr. Kalam has visited USTM on the occasion of North East College Principals’ Conclave 2014. And in memory of our Missile Man Dr. A.P.J Abdul Kalam, University of Science & Technology is going to host a Memorial Lecture on 17th September, 2016 at the USTM Campus. The speaker is no other than a man from the heart of scientific research and innovation ISRO Chairman, Shri (Dr.)A S Kiran Kumar whom we believe is keen to continue with the legacy of Dr. Kalam’s Vision 2020. 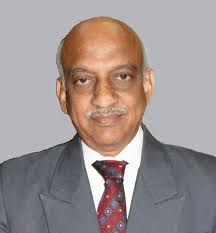 Kiran Kumar's legacy spans across his contributions to the scientific world, specifically Indian space endeavors, and his efforts towards the dissemination of knowledge by way of articles and lectures. Dr. Kalam believed in developing India from within, making the nation sustainable, and he firmly believed that agriculture was the backbone of the country. He also believed that India had to be self-sufficient in many sectors of the economy. All of this is explained in detail in his books India 2020: A vision for the New Millennium and A Manifesto for Change: A Sequel to India 2020 . This lecture by the ISRO Chairman is expected to be a steeping stone towards that end and will be observed as an annual event every year. What we must assert that this is going to be an excellent opportunity for all the scientific fraternity of North East as well as the science lovers, enthusiast and above all the students to enjoy this moment.